I have the cutest new pajama pattern to share with you today. 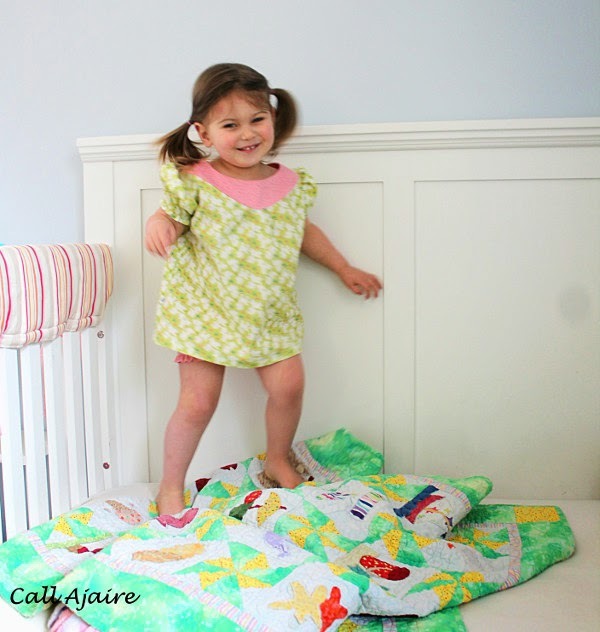 It’s the Shortie Nightgown & Bloomers pattern and I’m excited to be a part of the tour. 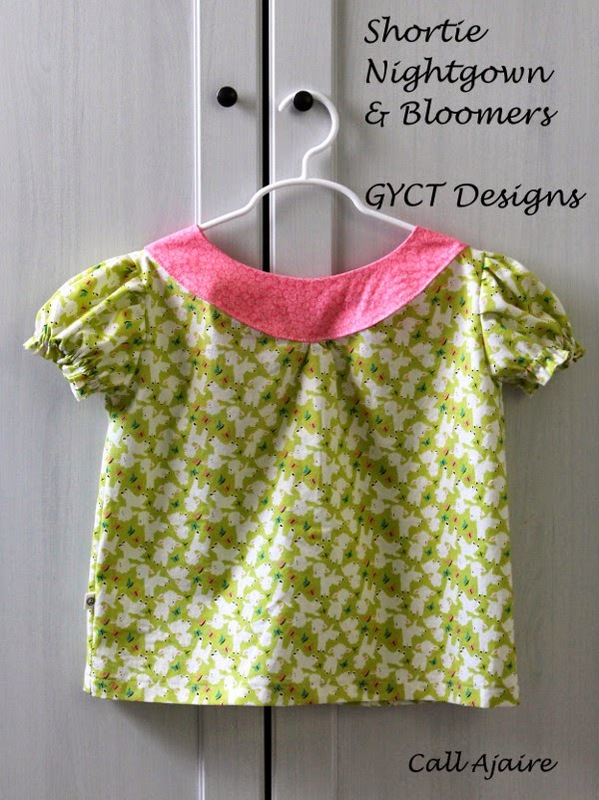 The pattern is by GYCT Designs and Chelsea of Get Your Crap Together is on fire with her designing skills lately. 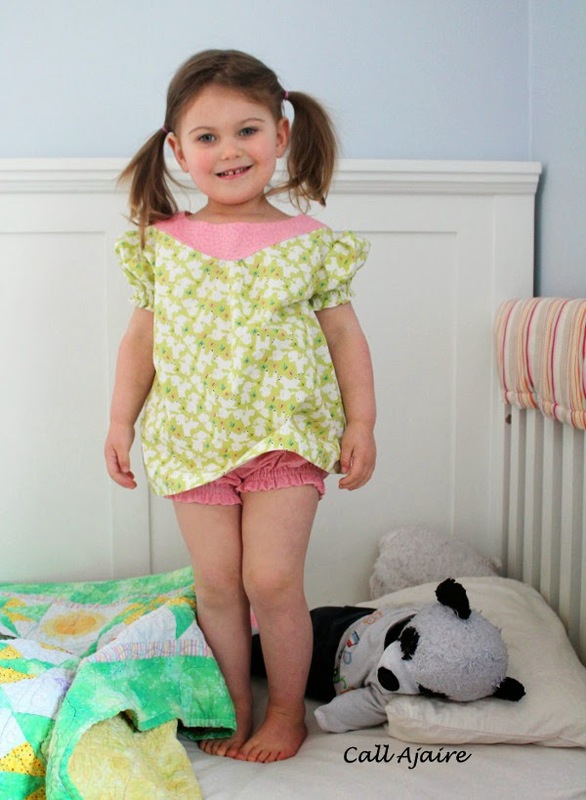 This is an adorable nightgown and bloomers set that doesn’t require any closures so it’s a super simple sew. And so cute on. 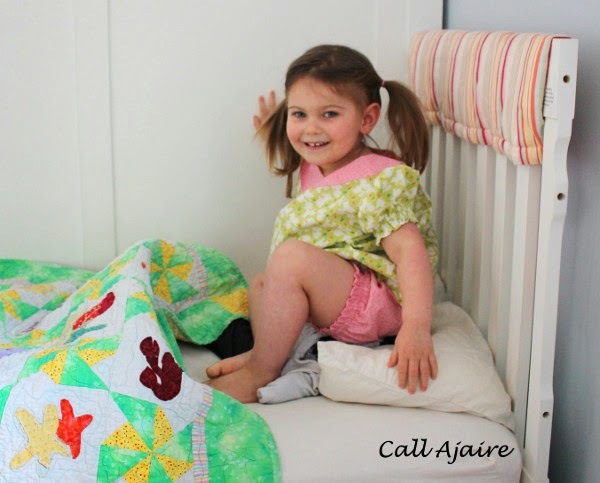 I made the size 3T Shortie Nightgown and size 4T bloomers. Bean is still growing like crazy and I’d love these to last the summer. It’s a bit big on top right now, but that just adds to the cute factor. 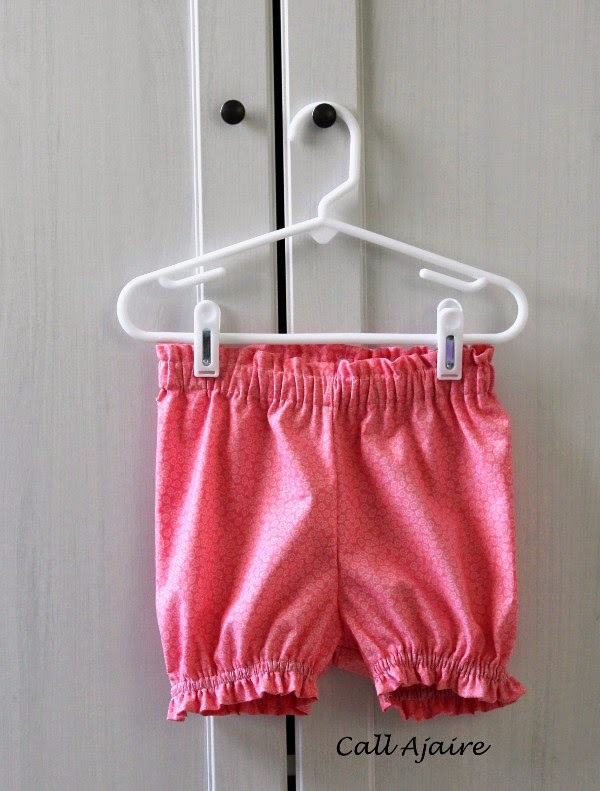 And the bloomers are a perfect fit with plenty of room to grow since they are elastic banded. 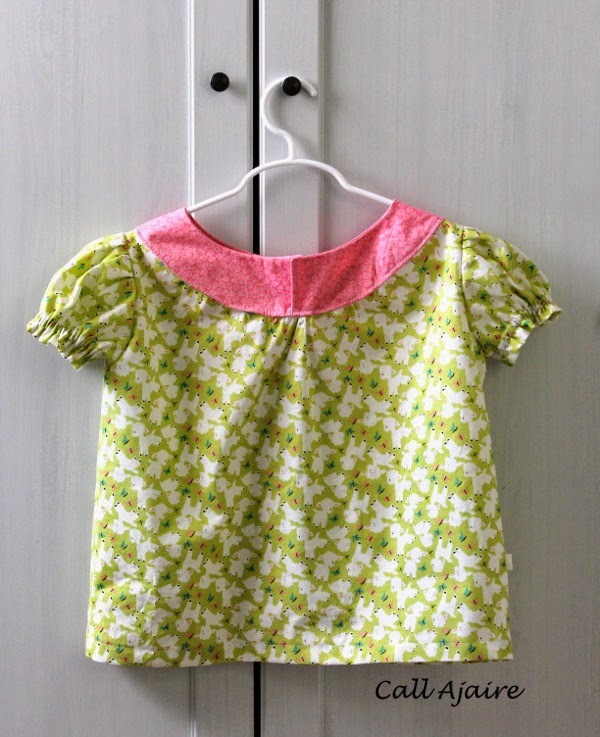 The little lamb fabric and this pinky floral will be perfect for our Easter trip to visit Bean’s Nana in Tennessee. The weather should be great down there so this little summery pj set will be just the thing to wear to sleep. Bean thought it was hysterical that I would be taking pictures of her in bed and she started jumping around like crazy. The jumping began immediately after I took the picture above and you can see the fire in her eyes as she came up with the idea. And here she is mid jump. The picture is blurry, but it’s clear she’s enjoying these pajamas! If you want your pattern right away, you can get it for 20% off using code “SHORTIE20” during the tour. Speaking of tour, make sure to click on the blogs listed below to see more cuteness on the tour! I am not an affiliate of GYCT, but I was given the pattern for the tour. Darling! I love the bloomer look, but our little M just REALLY objects to elastic.. Thank you so much for being on the tour! She is so adorable and looks like she loves her new nightgown! Good luck with PR&P!!! Thanks for having me Chelsea! They came out so cute!! They are so cute! I hope it lasts all summer, she really is growing fast and a lot! What a cute girl.